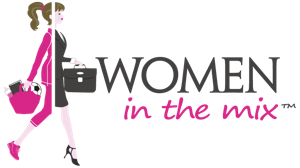 Meet our featured Wixii™, Tricia Downing. She is 46. She holds a Bachelor Degree in Journalism and Masters Degrees in Sports Management and Disability Studies. Tricia wears many hats. She is a speaker, author, athlete, digital sports show host (She’s Got Grit TV), and Executive Director of the Cycle of Hope Foundation. As an athlete, Tricia was the first female paraplegic to complete an Iron Distance triathlon. (2.4-mile swim, 112-mile bike and 26.2-mile run). 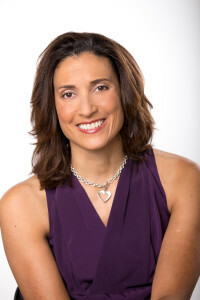 Following the completion of her broadcast journalism major, Tricia worked in television news in studio operations and then as a promotions producer. However, wanting to follow her passion for sports, she went back to school to earn a Masters degree in Sports Management and landed an internship, followed by two full-time positions within the US Olympic family of national governing bodies for sports (USA Cycling, USA Table Tennis, and USA Swimming). As the Communications Director for USA Table Tennis, Tricia was a press officer for the United States at the 1996 Olympic Games in Atlanta. Following three years of communications and marketing work at USA Swimming, Tricia decided she preferred to BE an athlete over working with the athletes, so she pursued a high level career in the sport of cycling. Unfortunately, the year following this transition, she was hit by a car while riding her bicycle and paralyzed from the chest down. This would change both her life and career trajectory. Tricia recovered from her accident, and spent the next eight years working in the Denver Public Schools as a teacher and internship coordinator and pursuing the sport of Paratriathlon. She made the U.S. National team and competed both in international events and Iron distance triathlons. In 2009, Tricia quit her job and began a full-time speaking career with her own business Redefining Able. She was successful in her athletic career until plagued by injuries in 2011. Tricia now spends her time speaking, writing, and helping others with disabilities achieve their best lives. Additionally, she has taken up a new sport—Olympic style shooting and hopes to qualify for the 2020 Paralympic Games in Tokyo. The most important thing to realize is that we all come from different places, in terms of time, energy, obligations, motivation and abilities. And to remember that that is okay. It’s important to have role models and dreams and goals, but to remember your path is your own. You can’t, and shouldn’t want, to duplicate someone else’s path. Use them for inspiration and ideas, but go your own road. Go at the pace you can handle and in the direction that speaks to your heart. Life is not about money or accolades, it is about the contribution you make to the world as a unique individual. Be gentle and forgiving with yourself. Work hard and recover well (that’s what we learn as athletes). Know who you are and what you want and you are more likely to feel a sense of accomplishment at the end of the day. I have a saying that I learned on the race course, which helps me stay grounded. That is “ride your own race.” So often we look outside of ourselves to judge how we are doing or how successful we are, but the true answer to that question lies within. What do you consider success? What makes you happy? When we look at others and see their successes and happiness, we assume that the same things would make us feel happy and successful, but if you step back and think about it, it might only LOOK good on them, but maybe wouldn’t fit you at all. So, I believe it’s important to stay in your own head when it comes to finding out what feeds your soul, makes you feel good and ultimately drives your successes. I’ve had many life experiences that one might consider difficult if not downright impossible to get through. From a paralyzing accident to suffering from chronic pain, each day provides a decision to let these things get the best of me or for me to get the best out of myself. I choose to use my life lessons to help other people survive and thrive through their own challenges. I believe it is giving of yourself to others that makes life worthwhile. If instead of feeling sorry for myself, I can help another, I feel like my life experiences pay off in a way I never would have imagined. And I then feel better about myself and where I have been and where I am going. I keep my schedule flexible and fluid. While I like to have a certain amount of structure, living life with a disability can be tricky. There are doctors appointments, bad days and things that take longer to do. I feel like I can be just as productive as anyone else, but it might look differently. I might take more breaks or work untraditional hours. I always try to get a workout in so that I feel energetic and alive. So each day is different. The one similarity is that each night I plan my course of action for the next day so I am doing what needs to be done and getting it taken care of in as efficient manner as possible. The older I get, I realize that I don’t have to take myself so seriously. That is, there are few things in life (especially in work) that are do or die. Most of what we do are things we push ourselves toward and many of them are the “should” in life. I should do this or I should do that. I think it’s important to find out what you want and to start going after that. There are always going to be things that need to be done (that you might not want to do), but realize that life should be a canvas that you design and make it look your way. I think it’s important to have fun in life and I think that it is something we often neglect. We get caught up in schedules and work and the things we think we should do, I am working on making it a priority to build in the things I want to do, specifically learn new skills and hobbies…things that bring out the joy in my life. When you have your own business, it’s easy to get into a flow of thinking about what needs to be done for business 100% of your time. After all, if you don’t work, you don’t get paid. But I’ve also found, if you’re not happy, you aren’t as productive or efficient, so it’s important to build in time for the things that make you happy or look forward to also. Blocking out your calendar for everything you have to or want to do. Whether it’s a meeting for work or a workout at the gym, make sure it’s on your calendar, blocked for a specific time and then hold yourself accountable. Additionally, not overscheduling yourself. Sometimes I think there are 35 hours in a day and I have to remind myself, that there actually aren’t that many hours, so I have to cut down on the number of things I have planned for the day. Please share your favorite efficiencies and timesavers. I enjoy having help around the house, so whether it’s the occasional cleaning service, or errand service, I think it’s important to delegate as many tasks as you can to someone else, even when you have to pay a bit to do it. If it can save me time, it’s worth splurging every once in a while to get a chunk of work done quickly. I would find a way to get my husband on the same schedule so that we would have more time together. His work-life schedule is very different than mine so sometimes I find myself compromising more than I would like to accommodate his schedule too. My health is a constant challenge because it requires me to take excellent care of my body. That means eating the right foods, several doctors appointments, therapies (pilates, physical therapy, massage, etc. ), exercising and all of these are not only time consuming, but non-negotiables. If I don’t do them, I run the risk of not being able to be productive. I just wish I had more time to fit in these “extras” that many people don’t have to worry so much about. 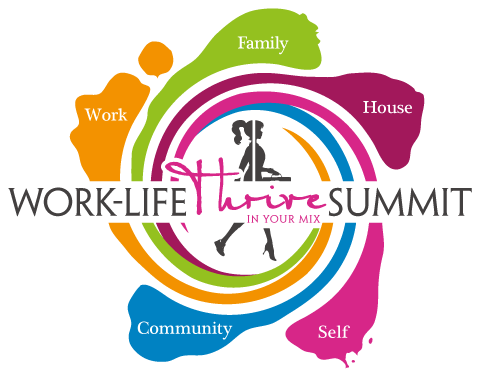 I am in charge of my own workplace, so that helps me manage my work-life mix. When I did work a traditional job, it would have been helpful to be able to work from home or have a more flexible schedule. I have achieved that by working for myself. I’ve learned the most important thing in life is having a healthy body. And I don’t think most people give a thought to this until something bad happens—cancer diagnosis, injury, disease, etc. But it should be number one on the list of important things to give attention to. Without being healthy, none of the rest will fall into place. Take care to eat well and exercise because in the end, that is what gives you the mental and physical strength to take care of business.